To survive in this highly competitive industry, corporations should effectively manage complexity, gain effectiveness and minimize costs – and many of them have turned to sourcing solutions in order to do so. Those that have not are at the competitive disadvantage, both strategically and financially. 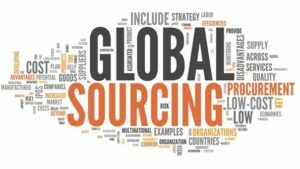 Although sourcing is an attractive proposition, companies that want to source locally or globally should understand the advantages as well as the disadvantages of sourcing before they start sourcing. 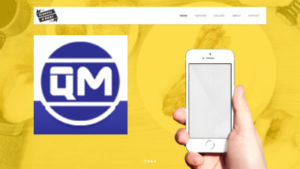 We take care of quality issues, we respect customers for intellectual uniqueness. Outsourcing by transnational companies has been an important force in globalization. Profit-seeking companies move their operations overseas so as to benefit from different comparative advantages. Labor-intensive processes are relocated to developing nations with relatively cheap labor. These practices lower the cost of production and, hence, the price of products and services for customers. Whether a company is building the next generation product, or upgrading an existing product, sourcing locally or globally is a good idea. Sourcing is a great way to assemble a team of experienced professionals and test the solution of any magnitude. And once the project has been successfully accomplished, the team can be dispersed. If your corporation utilizes raw materials that are scarce in your country, then you can lower a supply risk of your company by sourcing internationally if the availability of those materials is greater in other countries. Economies of scale in removal may also mean cheap prices even with additional cost of transportation and taxes factored in. We all know that recruiting employees with the necessary skills is costly and time consuming. Using the services of an offshore development company can offer well skilled employees, while making sure that your project complies with modern development as well as QA methods. A company can have staff working 24 hours a day. Nonetheless, it is difficult to attract staff with requisite skills to work less attractive shifts. 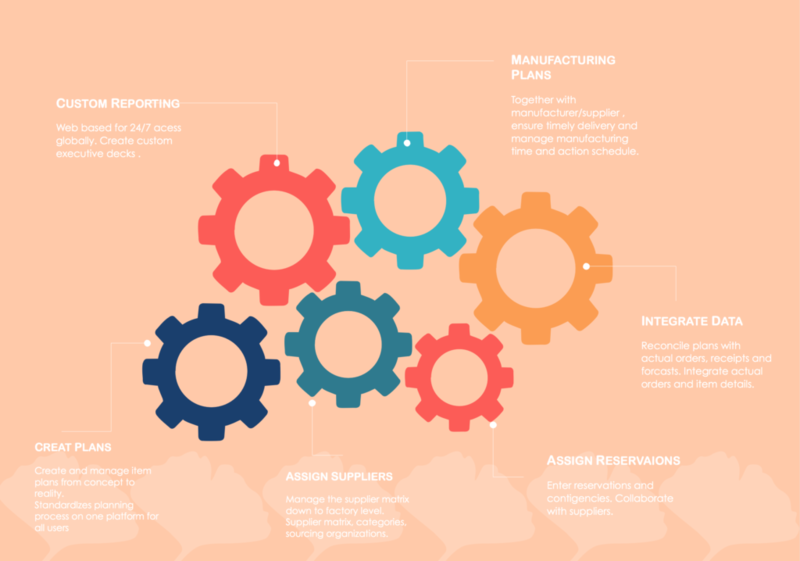 Sourcing is a very helpful intervention that allows your staff to work round the clock without adding to staff turnover and loss of productivity. Time-zone variations allow companies to cover the 24-hour cycle and to be productive to their own consumers. We guarantee a reliable supply chain and assuring after-sales services. Post contract audit - Ongoing performance management, including the collection of detailed data from vendors to ensure value is achieved. The findings should be reported and discussed by both purchasing and supply management teams. Bioactive peptides are small protein fragments that promote metabolic health by exerting a positive influence on biological responses within the body. The therapeutic applications of these novel molecules include, but are not limited to, anti-oxidant, anti-inflammatory, anti-microbial, and anti-viral activities. They have also been used to treat metabolic disorders, such as Type-2 diabetes and obesity. A pure form of proteolytic enzyme is used to hydrolyze the protein to produce short peptide sequences. Low molecular weight peptides (<10 kDa) are effective anti-hypertensive, anti-oxidative agents that find commercial application to produce peptides in bulk than high molecular weight peptides. Protein is hydrolyzed by culturing bacteria or yeast on the protein substrates. These bacteria or yeast secrete their proteolytic enzymes in due course to release peptides from the proteins. Each protein hydrolysate differs in their degree of proteolysis. For example, Lactobacillus brevis strain has a strong angiotensin-converting enzyme (ACE) inhibitory activity compared to other lactobacillus strains. 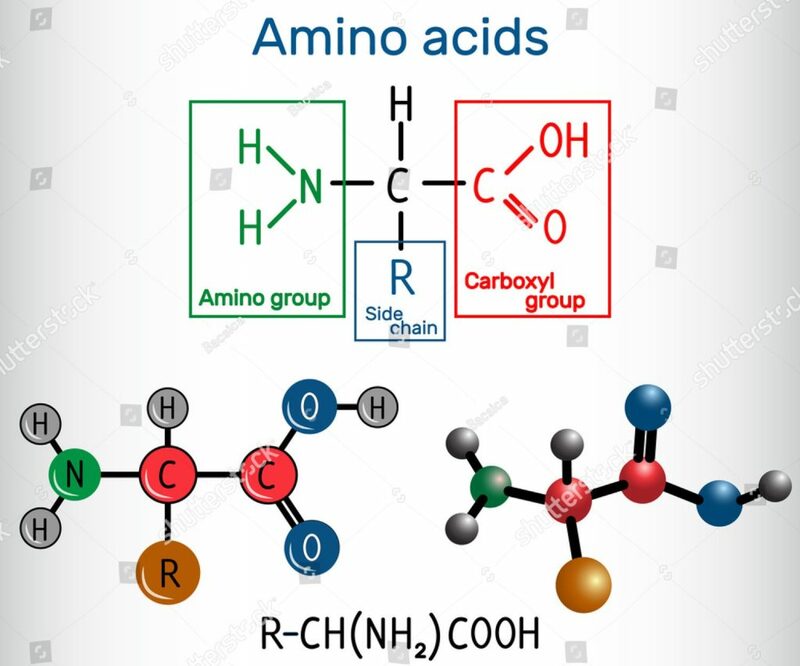 The type of N- and C-terminal amino acid, the peptide chain length, charge character, and composition of the amino acids determines the biological activity of bioactive peptides. For example, opioid peptides are short amino acid sequences with similar pharmacological activity as opium. Typical opioid peptides have the same N-terminal sequence of Tyr-Gly-Gly-Phe, while atypical opioid peptides have varying amino acid sequences at their N-terminal region with conserved tyrosine residue. The tyrosine residue is an important structural motif that is required for the opioid peptide to bind with its corresponding receptor. This sub-field of proteomics involves developing novel bioactive peptides and generation of peptide databases for industries that produce dairy products. Peptidomics makes use of high-resolution techniques, such as mass spectrometry and chromatography that enables improved and continuous monitoring of food safety and quality. Marine-derived bioactive peptides, such as jellyfish collagen peptides, protein hydrolysates from muscles of goby fish and sardines are used for their hypotensive, anti-diabetic, hypolipidemic, and hypocholesterolemic activities. Marine peptides also have skin protection and wound healing properties. 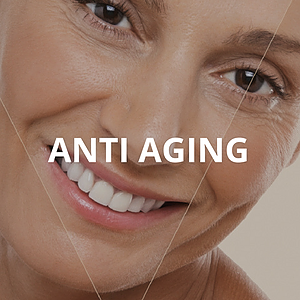 Single-blind case-control studies have demonstrated that marine collagen peptides improve skin elasticity and sebum production in healthy participants. Milk-derived bioactive peptides also exert multiple therapeutic functions, such as immunomodulatory, anti-oxidant, anti-microbial, and antagonistic activities against toxic agents. Studies show that properties of these peptides (derived from cow, goat, sheep, buffalo, and camel milk) make them prophylactic agents against cancer, osteoporosis, hypertension, and many metabolic disorders. Some bioactive peptides such as those extracted from Canastra artisanal Minas cheese have been studied extensively for its potent antimicrobial activity against Escherichia coli. Human salivary proteins, including statherin, histatin 3, histatin 1, proline-rich proteins and musin 7 can generate bioactive peptides with anti-microbial, anti-viral, and other therapeutic activities. Plastein is a protease-induced peptide. Recent research has indicated that plastein can increase the nutritional value of low-quality proteins and promote health. They also exert antihypertensive, antioxidative, and antithrombotic activities. An advantage of plastein is that it is stable over a wide range of pH and temperature enabling its use in a variety of food formulations. Oral nanoparticle formulations increase bioavailability of bioactive proteins and peptides, and improve treatment compliance in the long run. By enhancing the mucoadhesive property of nanoparticles, bioactive peptides can readily reach the blood stream for its intended therapeutic action. Incorporation of bioactive peptides into liposomes via cell-free protein synthesis is another way to develop proteoliposomal nanodelivery systems. For example, cytotoxic peptides such as KLAK are conjugated onto dendrimers (polymeric materials with nanometer-scale dimensions) to enhance intracellular delivery and deep tumor penetration capacity. With increasing consumer awareness on the health-promoting effects of nutraceuticals, it is imperative to conduct robust clinical trials to provide enough evidence to show that bioactive peptides are useful functional agents to prevent and treat diseases. Peptides are becoming a household name in prestige cosmeceutical facial moisturizers. Peptides sound very high tech, until you realize that hydrolyzed collagen, obtained from boiling cowhides, was one of the first peptide cosmetic ingredients. However, hydrolyzed bovine collagen is much different than the newer peptide ingredients. The new peptides are engineered one amino acid at a time to mimic a functional human protein fragment. The intent is to induce a positive biologic change. 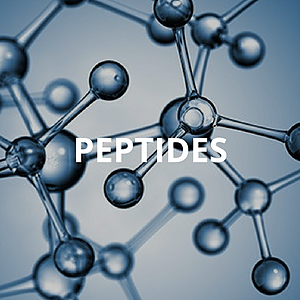 Many peptides are available from supply houses for incorporation into cosmeceutical preparations, and they fall into three major categories: carrier peptides, signal peptides, and neurotransmitter peptides. The first peptides were introduced into the pharmaceutical realm for enhanced wound healing. The idea was to engineer peptides to carry necessary wound healing cofactors to the active site efficiently and physiologically. For this reason, the first peptides were labeled carrier peptides. The first commercialized carrier peptide was designed to deliver copper, a trace element necessary for wound healing, into the wounded tissue. Metals are very difficult to deliver and are unstable in formulation, thus using the peptide carrier technique was novel and effective. The first carrier peptide labeled GHK was composed of glycine (G), histidyl (H), and lysine (K). It was isolated from human plasma and synthetically engineered. Linking GHK to copper, abbreviated GHK-Cu, was utilized in wound healing creams and subsequently adapted to a line of facial cosmeceuticals to minimize the appearance of fine lines and wrinkles. This technology, commercialized by Neutrogena, was based on in vitro observation of dermal keratinocyte proliferation in response to the copper linked peptide. While carrier peptides are designed to carry unique ingredients, signal peptides are designed to create a biologic response. Currently marketed signal peptides have been designed and tested in vitro to increase collagen, elastin, fibronectin, proteoglycan, and glycosaminoglycan production. The first commercialized signal peptide was palmitoyl pentapeptide, abbreviated Pal-KTTKS. This engineered peptide is composed of lysine (K), threonine (T), threonine (T), lysine (K), and serine (S) linked to palmitic acid (Pal). It is a procollagen I fragment used in a low concentration of four parts per million to act as a signal. The signal observed from in vitro fibroblast cultures was increased product of collagen I, III, and IV. The procollagen fragments are thought to down-regulate the production of collagenase thereby increasing dermal collagen. Pal-KTTKS, known commercially as Matrixyl, is still the most widely used peptide in facial cosmeceuticals. A third category of commercialized peptides is neurotransmitter peptides. These peptides became popular when facial cosmeceuticals began comparing themselves to botulinum toxin injections, asking the question if a facial moisturizer could be “Better Than Botox.” These clever advertising campaigns did not say the moisturizer was better than Botox, only the question was asked. Neurotransmitter peptides, such as acetyl hexapeptide-3, were developed to attempt to inhibit release of acetylcholine at the neuromuscular junction. The peptides are similar to botulinum toxin in that both selectively modulate synaptosomal-associated protein of 25,000 Daltons, abbreviated SNAP-25, however the mechanism is different. Botulinum toxin A proteolytically degrades SNAP-25 while acetyl hexapeptide-3 mimics the N-terminal end of the SNAP-25 protein. This inhibits the SNARE (soluble N-ethyl-maleimide-sensitive factor attachment protein receptor) complex formation. Acetyl hexapeptide-3 is the most widely commercialized neurotransmitter peptide and is purported in vitro to inhibit vesicle docking through prevention of the SNARE complex formation, which induces muscle relaxation. The challenge here is to get the peptide to the neuromuscular junction in sufficient quantity for an adequate duration to induce chemodenervation. Injections are more efficient at bypassing the stratum corneum barrier and targeting a certain active site. Topical peptide penetration is challenged by the stratum corneum, which is uniquely designed to keep out proteins, and peptides are protein fragments. Nevertheless, these neurotransmitter peptides remain popular among consumers. We are here at your service for any assistances on peptide and chemical sourcing and partnering. 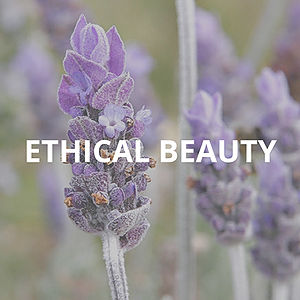 We commit to satisfy our dear valued customers all over the world in research and pharmaceutical. Copyright © 2014-2019 Psyclo Peptide,Inc. 燊肽科技(上海)有限公司| All rights reserved. | Designed by Samuel G.Zhang. Powered by Psyclo Peptide,Inc.